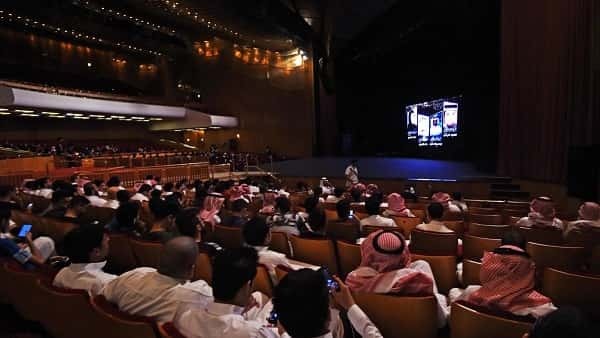 Saudi Arabia's Ministry of Culture and Information granted its first cinema license to AMC Entertainment to operate a cinema theater in Riyadh from April 18, The AMC Entertainment to open 40 theaters in Saudi Arabia in next 5 years. Saudi Arabia's market is large and the majority of the population of the Kingdom is below 30 years of age, They are excited to watch their favorite movies in their own land. Granting license to cinema will provide important investment opportunities of operating cinema halls reported in Saudi Gazette. - The opening of cinemas halls in Saudi Arabia will help support the local economy keeping the spending by families with in the country more over their will more new jobs opportunities in the Kingdom for locals, One of the goal of Saudi's Vision 2030 is to make better life quality by providing various opportunities. - Saudi Arabia's estimated population is about 32 million, Which will make the cinema market largest in the region. About 350 cinema halls to be opened with 2500 screens by the year 2030. - As per President of AMC, We feel greater enthusiasm due to the warm welcome from the Ministry of Culture and Information of Saudi Arabia, The PIF (Public Investment Fund), Various Saudi companies, Institutions and Indviduals with whom we communicated. - His company is looking forward to provide recreational services that will allow all to enjoyable time in the movie theaters with world best standards in all over the Kingdom of Saudi Arabia. - Allowing cinema theaters in Saudi Arabia will open a local market with a capability of 1 Billion US Dollar annual sales of tickets approximately. AMC's entry in the market with a partnership of PIF fro recreational development.